Lebron is excited about free tacos too. 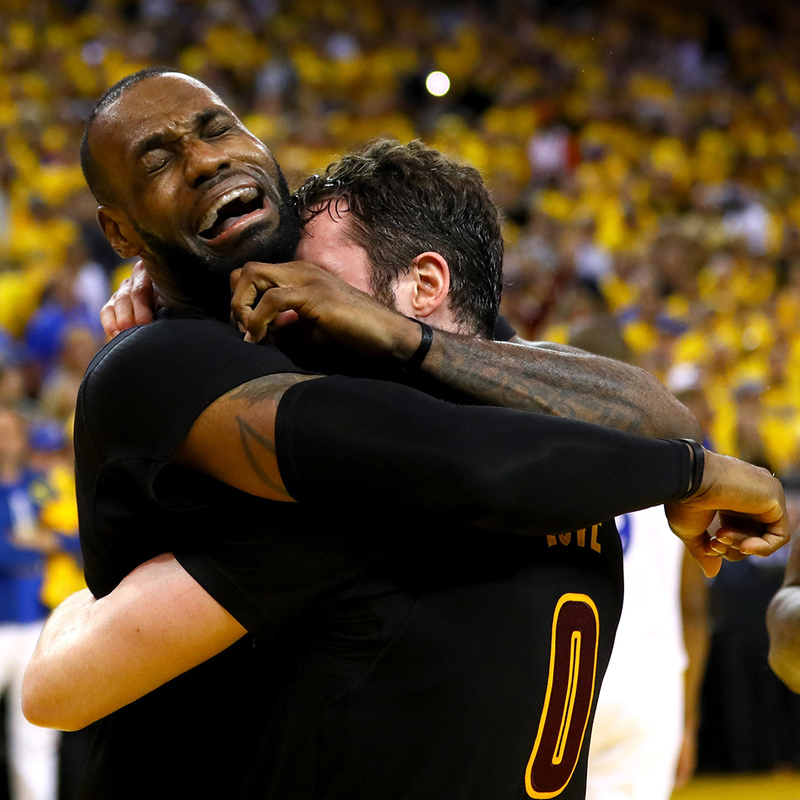 When it comes to the results of the NBA Finals, I am squarely in the “they were fixed” camp. Here’s how I see it: After Game 4, the NBA had a chance to let the Cavs back in the series by suspending Draymond Green and they took it. That flagrant foul was a chance for ratings gold in everyone’s eyes. The rest is history. Not that I’m upset that LeBron and company won—either outcome would have made for great history. I’m just saying that the real MVP should have been Ayesha Curry for calling it like it is. But regardless of whether you agree with me or you are NBA commissioner Adam Silver, we can all agree on one thing: Taco Bell is giving away free tacos tomorrow. If you recall, back before the Finals began, Taco Bell announced its “Steal a Game, Steal a Taco” promotion, saying that if any road team “stole” a game by winning away from home, the Mexican fast food chain would give out free Doritos Locos Tacos. Well, that happened three times: The Warriors won Game 4 in Cleveland and the Cavaliers won Games 5 and 7 in Oakland. According to the very detailed rules Taco Bell laid out, “If the road team wins Game 4, Game 5, Game 6, or Game 7, America will score a free Doritos Locos Taco on Tuesday, June 21 from 2 p.m. to 6 p.m. (local time) at all participating US Taco Bell locations.” For those without access to a solid calendar, June 21 is tomorrow. Sadly, despite the three road wins, it does not appear as if we’re getting three tacos – or some sort of burrito upgrade. (If you’re reading this Taco Bell, consider giving us a burrito upgrade!) Still, a free taco is a free taco. And at least you can say you got it fair and square – unless of course, this is just a set up to get us hooked on Doritos Locos Tacos.